What do you do when you want a change from sandwiches, but still want something sandwich-like? Break out the wraps, of course! Wraps are, in a word, awesome. I find them even more versatile than sandwiches. There are tons of varieties of flour tortillas and sandwich wrappers out there to give you a good starting point, and even more condiments, dressings, and veggies that can be combined to create your perfect lunch. Speaking of, have you ever noticed how chain-type sandwich shops just don’t seem to understand the concept of a veggie wrap? The last time I ordered one, what I received was a wrap that consisted mostly of a heavy, greasy “whole wheat” tortilla, with a tiny amount of vegetables inside. Not only was it a sad excuse for lunch, it also cost an arm and a leg. What’s up with that? I don’t have just one “recipe” that I use when making wraps, though my initial inspiration came from the lunch section of The 30-Minute Vegan . 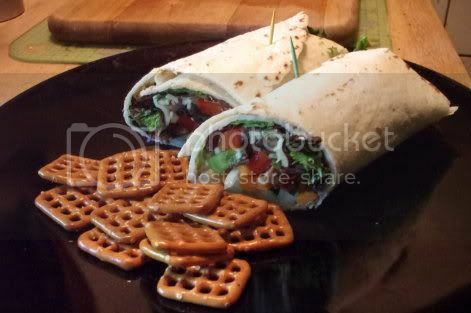 In this post, I want to share the combinations I use most often, and hopefully inspire you to make a wrap that blows the ones available at sandwich shops out of the water. Also if you like raw food bars, check out the end of this post for an awesome giveaway! 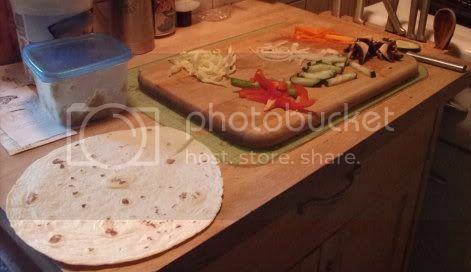 The Perfect Veggie Wrap–Made By You! — Warm or lightly brown the tortilla/wrap according to your preference. I like to lightly toast mine in a nonstick pan over medium heat. — Spread any hummus, mayo, or mustard you’re using on the tortilla. 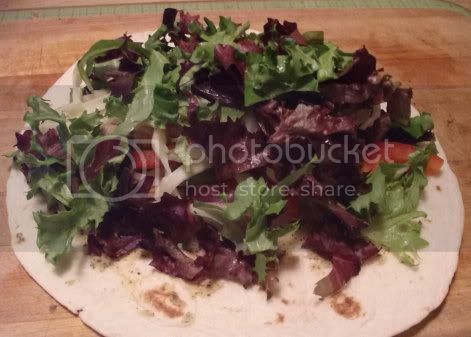 Arrange all your ingredients except the mixed greens down the center. — Roughly chop the mixed greens and put them on top of everything else. — Add any oil, soy sauce, herbs, or nutritional yeast you desire. 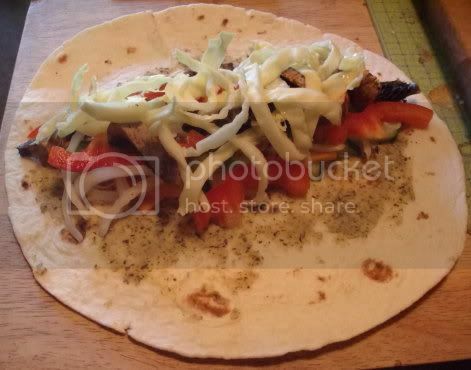 — Roll the tortilla up tightly, tucking the ingredients in as you go if they try to get away from you. Stick a toothpick or two in to keep it shut if you like. — Slice in half (or not), and enjoy! Now that you’ve got lunch covered, why not try for some amazing snacks? The Daily Raw Cafe is giving away a box of Raw Revolution bars, which are just about the most awesome raw food bar ever. The deadline is tonight, so be sure to get your entries in soon! This looks DANG good! Great post. I agree. I am disappointed with places offering their “version” of a veggie wrap or sandwich. I find I can get a good veggie sandwich if I micro-manage what goes into it, lol. But I have NEVER gotten a good wrap at a sandwich shop.